"From Serbia, Kosovo, Montenegro and Bosnia and Hercegovina, the richness and beauty of our Orthodox faith fully imbedded in every aspect of the monasteries was inspiring and moving. I was drawn to the quiet dynamics of the monastery interiors, the physical yet impalpable qualities of the space and time with which they mysteriously pulsate. The dichotomies between the visible and invisible, present and history in the spaces stimulated this body of work. 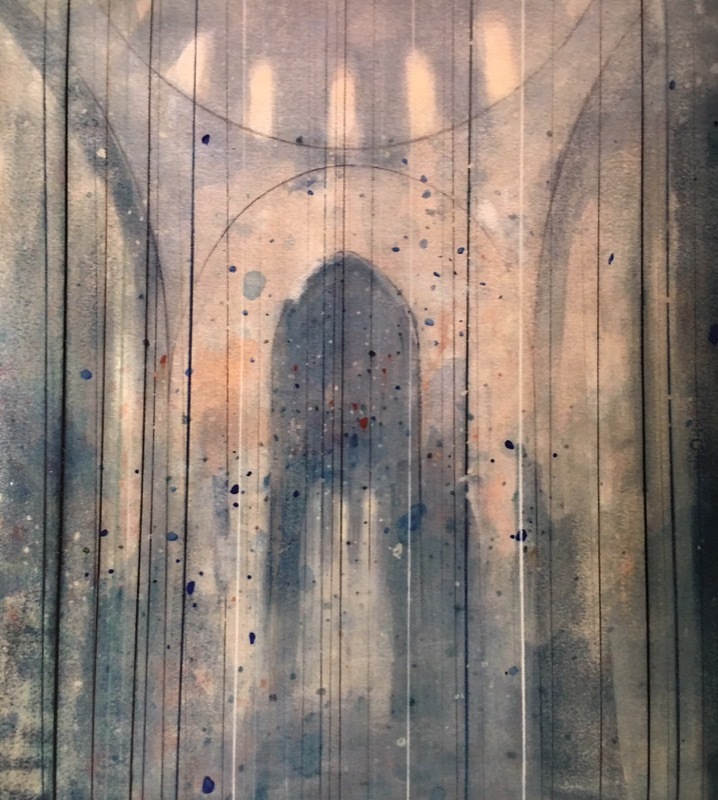 I tried to develop the drawings from a single perspective - that of experience of contemplating and perceiving the elusive qualities of the church interiors."